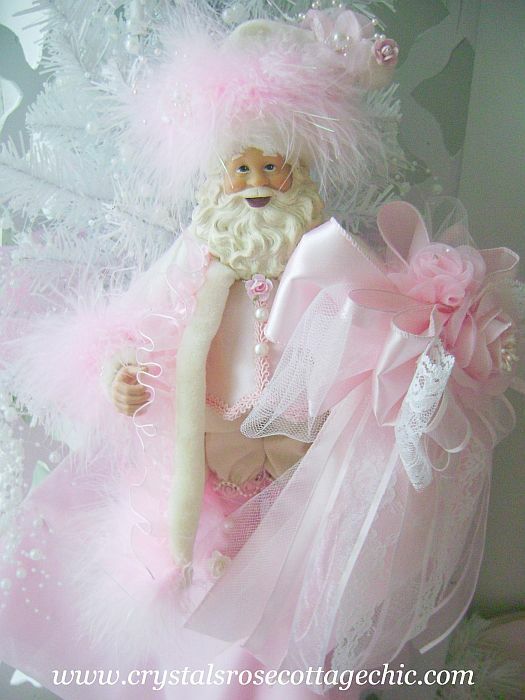 Looking for a special, pink Santa to add to your chic pink Christmas decor? 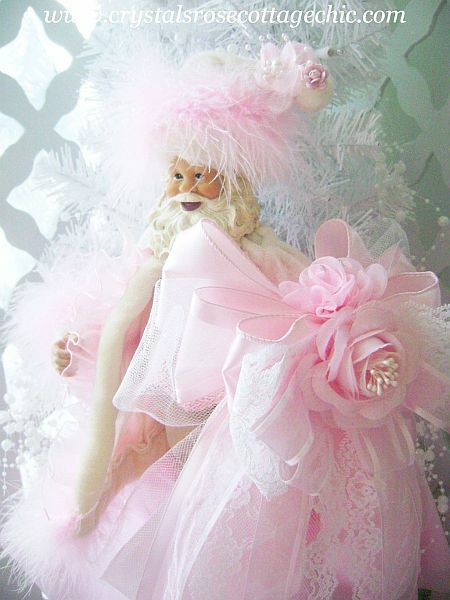 Then this one of a kind, shabby pink, Victorian Santa may be just what you've been looking for! 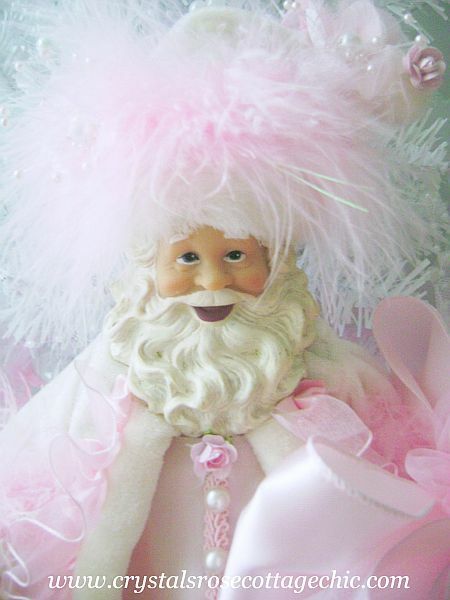 He's been embellished with lots of pretty pink and white embellishments and has the jolliest of smiles! Measures 13" tall with all his embellishments.